How is the approximate volume occupied by a brain component calculated? For example, how would you know the approximate brain volume percentage of both hippocampi or both parts of the striatum, or the cortices of the brain? Is there an application that I, as a non-neuroscientist could use to get such an estimation for a given part in the human brain? Magnetic resonance imaging can be used to calculate volumes of brain areas. A state-of-the-art method to determine volumes in brain tissue is by making use of magnetic resonance imaging (MRI). 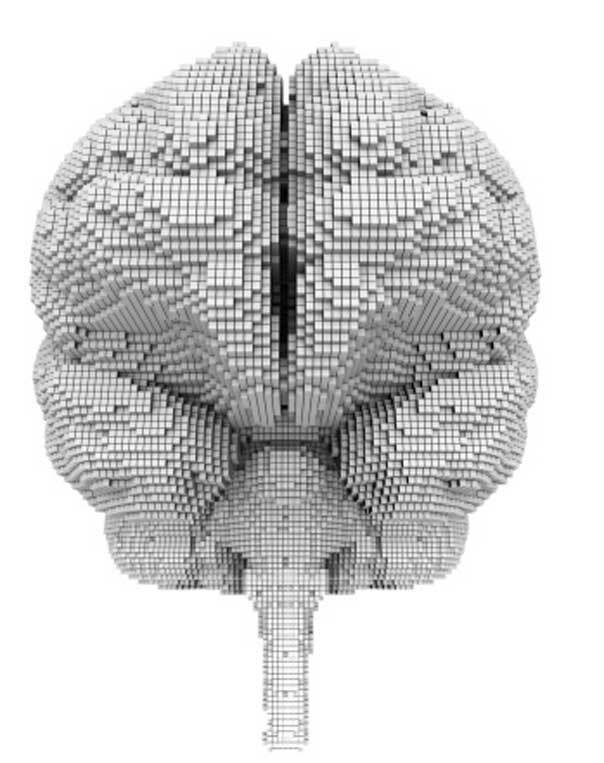 MRI segments the brain into 3D pixels, called voxels. Voxel is derived semantically from the fusion of pixel and volume. Hence, each voxel has a certain volume and thus the number of voxels inside a certain brain area (e.g. the hippocampus) can be calculated yielding your desired volume measures (Fig. 1). Of course you cannot do MRI in your attic, but you can search the internet for the right articles. Two leads are cited below. Not the answer you're looking for? Browse other questions tagged neuroscience measurement neuroanatomy or ask your own question. What is the standard error of measurement for teacher made multiple choice tests? Are action potentials necessary for experience?